A dragoon of Dominica who has the ability to shape-shift. She has been living in the shadows of Dominca after her death. After losing her battle with Toru's group, she takes on the form of a Lucie Skoda in honor of her master's late sister. 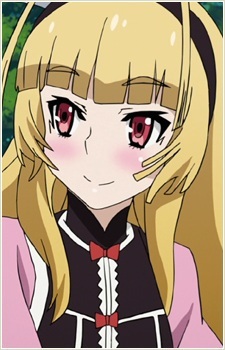 She also joins Toru's group on their adventures with a new goal, to have a fight to the death with Toru, although Toru usually postpoints their fight, claiming that he must first accomplish his mission to assemble Emperor Gaz's remains for Chaika.